Our latest Facebook movie – an homage to Monty Python! Our very own version of the “Spam” sketch! SmartBarf is looking forward to supporting the above event and learning what is new in the world of natural feeding and meeting some of our customers, stockists and friends. There are some interesting and knowledgeable speakers attending from whom we can all learn something, I’m sure. 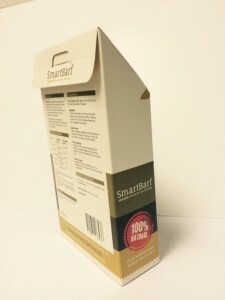 Don’t be concerned if you see our SmartBarf in a box, the recipe hasn’t changed. We have now used up the last of our stand-up pouches and so future deliveries will now be in a ‘bag in a box’ format. The new packaging protects the product from sunlight and it is also slimmer so it will take up less cupboard space. Sample bags now available online! 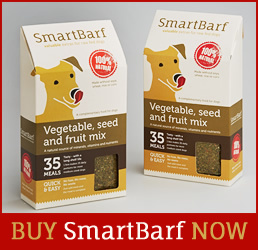 If you have been put off from buying a bag of SmartBarf just in case your dog turned it’s nose up at it then you will be pleased to learn that you can now buy a 60gm bag for £1.75 with no delivery charge (just make sure you use our coupon code ‘sampler’ and click on the ‘apply coupon’ button). I’m sure it won’t take you long to appreciate the advantages of a ready made blend of powdered super foods, herbs, fruits and vegetables. 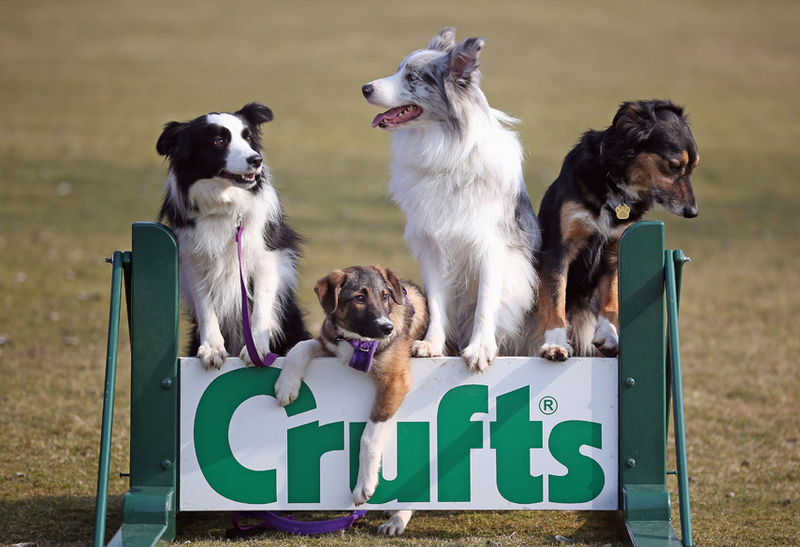 Will you be at Crufts on Saturday? If you are, keep your eyes out for a man (me) in a red jacket with a Smartbarf logo on the back. If you see me, ask if I have any sample bags of SmartBarf left. If I haven’t already given them all away, you are welcome to have one. Please don’t ask where I will be at a certain time as I like to wander and I like to watch the events in the main arena. Barf diet’s delicious, our dogs lap it up. It’s great for their health, old dog or a pup. Of well fed canines, licking their lips. To win one of 100 sample bags all you have to do is to post a picture on our Facebook page of your dog licking its lips (just like our logo). The picture with the most likes will win 3 regular sized bags – enough to keep most medium sized dogs happy for 3 months. Why are we running this competition? Firstly it is to celebrate a new high in monthly sales (January 2015) . Secondly, because we changed our milling machines in December and this has resulted in a less dusty batch (although it does still pass through a 2mm sieve). 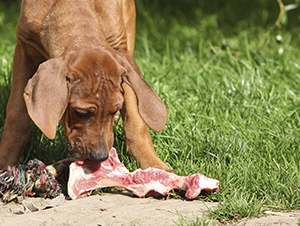 The new machinery has meant that we can now use better quality ingredients but it is still the same recipe, the same benefits and the same taste….I’m sure our canine customers won’t won’t notice! Please note that this competition is for UK addresses only and closes on Valentines Day….so post your lip-smacking-barf-breakfasting–meat-munching logo lookalikes on our FaceBook page as soon as you can. 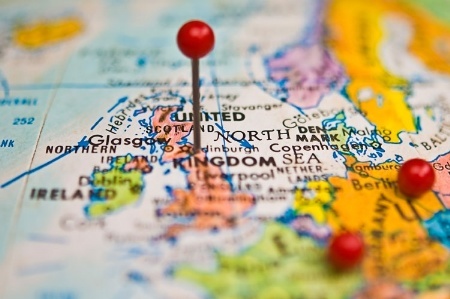 Now that Christmas is behind us and some of us are trying to eat slightly better, exercise slightly more and drink slightly less and so I thought it was time to highlight the fact that we have updated our list of stockists. That way, you can involve your dogs in a healthier regime in 2015 as well! 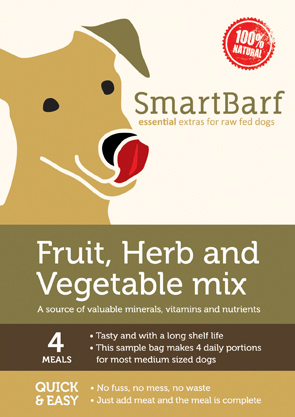 Not only can you buy SmartBarf from them but most of them supply a full range of raw foods suitable for dogs. If you won a sample bag and if you liked the convenience and your dogs liked the taste then please contact one of our stockists for further supplies. If you haven’t already received your bag, it should arrive within a day or so. Until I find time to write detailed benefits of every ingredient, perhaps this synopsis will do. Asparagus is high in Vitamins A, B’s, C, E & K, several trace minerals plus chromium which provides energy by enhancing insulin’s ability to transport glucose through the body. The amino acid, aspergine, is found in high concentrations. Banana – famous as a potassium source for many sportsmen. Basil – contains an oil that is known to have potent antioxidant, antiviral and antimicrobial properties leading to a potential use in treating cancer. In addition, it has been shown to decrease the occurrence of strokes and reduce stress and asthma. Beetroot, not to be confused with the beet used in kibble, contains betaine which has a positive effect on blood flow and blood pressure. It also improves liver function. Blue Maw (Poppy) has a calming effect, contains 18 different amino acids and is high in calcium. Brazil nuts are perhaps the richest dietary source of selenium. Broccoli is high in vitamin C and contains multiple nutrients with anti-cancer/anti-viral/ antibacterial properties and immune boosters. Caraway seed can kill yeasts and are used as a remedy for loss of appetite and digestive disorders. Carrot is used ethno medically to treat digestive problems, intestinal parasites, tonsillitis and constipation. Chickpea is low in fat but high in trace minerals and can assist in lowering cholesterol in the bloodstream. Dates can be used against sore throats, colds, bronchial catarrh and fevers. Evening Primrose is of benefit against gastro-intestinal disorders. Fennel contains anethole which has potent antimicrobial properties against bacteria, yeast and fungi. Goji Berries, also known as Wolfberries are a well known superfood due to the range and quantity of minerals, amino acids, vitamins, saccharides and fatty acids found in them. Hawthorn berries aid digestion and sleep. Hazelnuts have a significant place amongst nuts in terms of nutrition and health because of the special composition of fats (primarily oleic acid), protein, carbohydrates, vitamins (vitamin E), minerals, dietary fibres, phytosterol (beta-cytosterol) and antioxidant phenolics such as flavan-3-ols. Hemp is famous for having an almost complete amino acid profile and less famous for being 33% protein and 44% healthy edible oils. Linseed is a good source of the trace metals & minerals; calcium, phosphorous and magnesium. Studies have shown it to be useful in male fertility and female pregnancy. Locust Bean has an adverse effect on e coli and therefore aids digestion and normal gut bacteria levels. Milk Thistle is of benefit to the liver. Millet is an excellent source of vitamin B’s, trace metals and is gluten free. Mint can be used to treat digestive ailments. It also shows some anti-fungal and antioxidant properties. Niger contains a good balance of amino acids. 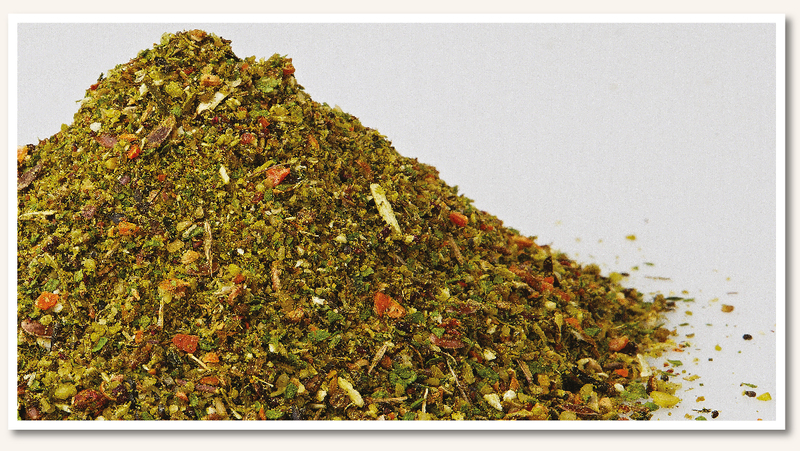 Oregano has antiseptic properties as well as being a cure for stomach & respiratory ailments and sore throats. It also has shown antimicrobial activity against Listeria. Parsley contains large quantities of apigenin, a chemical found to have potent anti-cancer activity. Peanuts are rich in nutrients, providing over 30 essential nutrients and phytonutrients and rivals the antioxidant content of many fruits as they are a source of coenzyme Q10. Perilla is rich in vitamins and minerals and is used in Chinese medicine to boost the immune system. The oil contained is high in omega-3 fatty acids, calcium, iron, potassium and vitamins A and C. It appears to alleviate the symptoms of asthma and promotes optimal lung function. It also has anti-inflammatory properties, and is thought to help preserve other foods. Prunes have a high antioxidant content. Pumpkin is a good source of protein, as well as iron, zinc, manganese, magnesium, phosphorus, copper and potassium. It is also high in L-Tryptophan, making it useful against anxiety. It also fights cholesterol and irritable bowel syndrome. Some people use it against internal worms. Rosehips are used to help prevent colds and influenza due to their very high vitamin C levels. Safflower is a low carbohydrate version of sunflower seeds. Sage shows possible uses as an antibiotic & antifungal agent as well as antispasmodic, estrogenic, hypoglycemic and tonic. It has been found to be effective in the management of mild to moderate Alzheimer’s disease. Seaweed is an excellent source of minerals, especially iodine. Sesame is useful for growth and pregnancy – it also contains an antioxidant unique to sesame. Spinach – If it’s good enough for Popeye! Sunflower Hearts are high in growth factors, trace metals & minerals, some essential fatty acids & amino acids and rich in cholesterol-lowering phytosterols. Thyme contains 20-54% thymol, the antiseptic found in many mouthwashes and has also been shown to be effective against various fungi that commonly infect toenails. Tomato contain lycopene, one of the most powerful natural antioxidants. Walnut has a positive effect on age-associated motor and cognitive function and limits the ability of fat to damage arteries. Compared to many other nuts, raw walnuts contain the highest total level of antioxidants. Wild Seeds add realism and variety as many prey birds/rodents would normally feed on these. Following our offer a week ago, we have chosen 50 people to give samples to (keep an eye on your twitter feed or your Facebook messages inbox (other). We will choose a further 50 people this week. 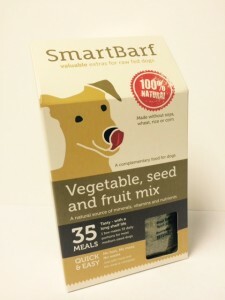 If you didn’t see our offer then, due to a typo error on our part, our sample bag labels can’t go out to our stockists so, rather than waste them, we decided to give them away to raw feeders who haven’t tried SmartBarf yet. 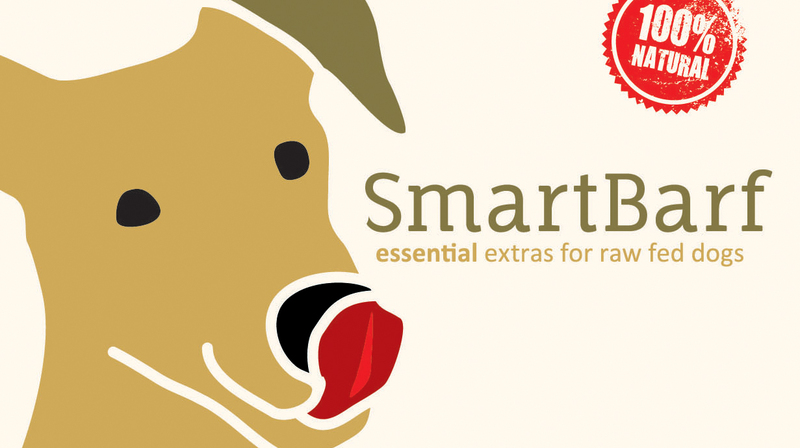 If you already supplement your dog’s meals with fruits, herbs, vegetables, seeds or nuts then this is your opportunity to try SmartBarf free of charge and to find out if your dog likes the taste. By Halloween we will have contacted 100 randomly selected raw feeders who ‘like’, ‘share’ and/or ‘retweet’ this posting and who include an ingredient they want to know more about.